Key brokers held last-ditch talks on Thursday on the fate of Syria's only remaining rebel-held province, hoping to stave off a government offensive the UN has warned could spark catastrophe. Government forces have been massing around Idlib for days and looked poised to launch what could be the last major battle of the civil war that has torn Syria apart since 2011. After retaking a succession of rebel bastions around the country this year, the government of President Bashar al-Assad has set its sights on Idlib. 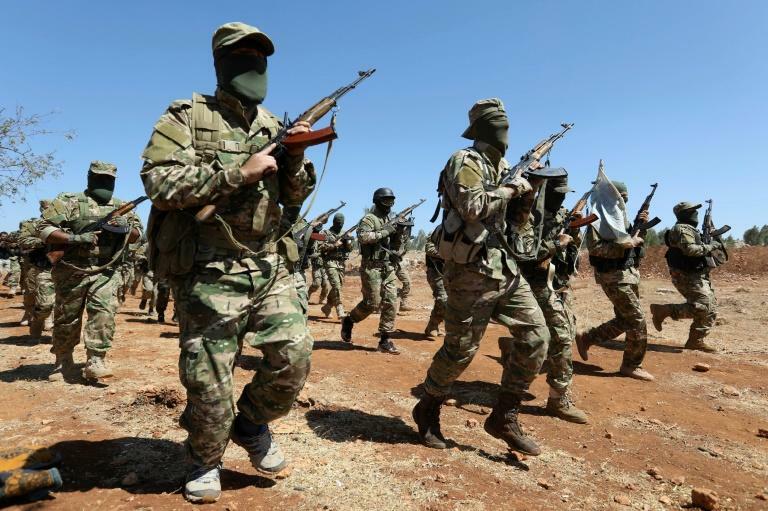 The province's most powerful armed faction is the Hayat Tahrir al-Sham jihadist group and neighbouring Turkey is trying to use its influence to avert a major offensive against it. "The negotiations between Turkey and HTS are still under way," said the head of the Britain-based Syria Observatory for Human Rights, Rami Abdel Rahman. Russia, whose 2015 military intervention in support of Assad helped the government reclaim much of the ground it lost in the early days of the seven-year conflict, wants the jihadist outfit to disband, he said. "This is the condition set by Moscow to avert a broad offensive... Its launch hinges on the failure or success of these talks with HTS." In comments published on its propaganda agency Ibaa, HTS appeared to leave the door open to a negotiated settlement. "The issue of the disbanding -- should it ever take place -- is one that would be discussed internally by the alliance's consultative council but not dictated by local or foreign parties," it said. "We in HTS are striving to find an effective solution in the liberated Syrian north that would protect our people from a possible offensive by the criminal regime and its allies." While Turkey actively sponsors rebel forces in Idlib, its influence over the former Al-Qaeda affiliate is less clear and Abdel Rahman warned the chances of success were slim. 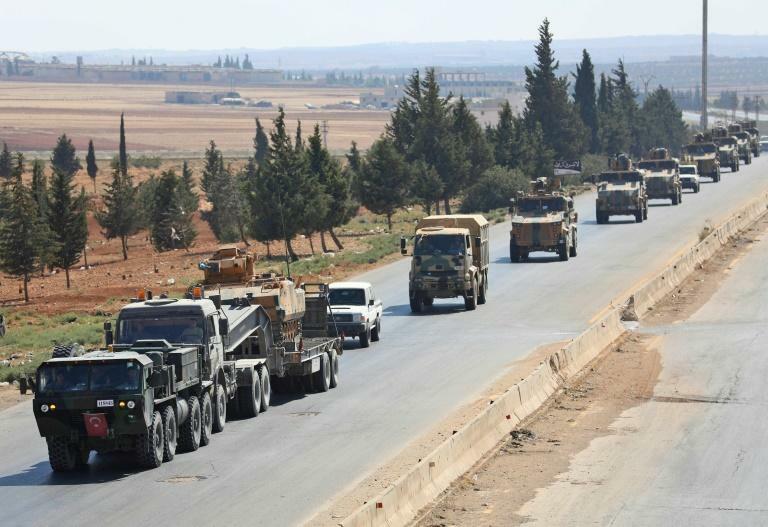 "Turkey's relationship with HTS is a complicated one but may best be framed as cooperative animosity," said analyst Elizabeth Teoman, of the Institute for the Study of War. But with a regime offensive looming, the Turkish military has been reinforcing its 12 monitoring posts. During a press conference with his Saudi counterpart in Moscow on Wednesday, Russian Foreign Minister Sergei Lavrov hinted the assault may be imminent. Iran's top diplomat also held previously unannounced talks with Turkish President Recep Tayyip Erdogan on Wednesday. Foreign Minister Mohammad Javad Zarif met the Turkish strongman for a hour but little filtered out on the nature of the discussions. 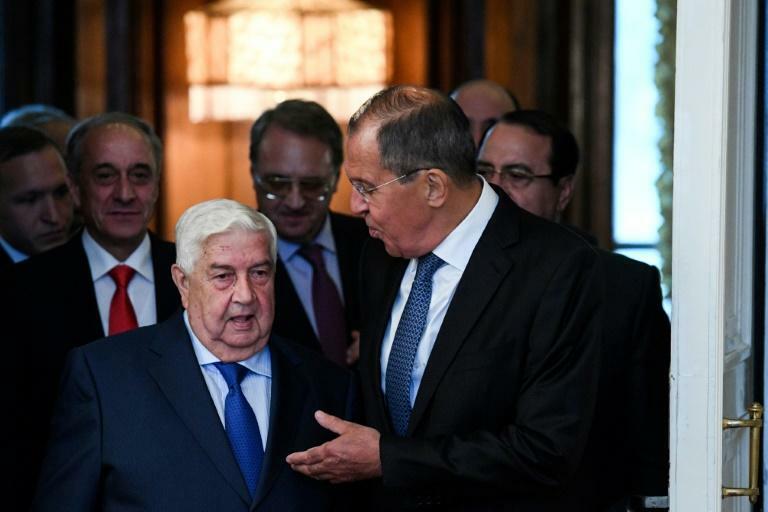 Syrian Foreign Minister Walid Muallem was in Moscow Thursday for talks and reiterated his government's "determination to liberate the entire Syrian territory." Russian media reported this week that Moscow has been reinforcing its military set-up in the region and currently has 10 warships and two submarines in Syrian waters. The prospect of a massive Russian-backed offensive in a province that is home to some three million people -- half of them already displaced from other parts of Syria -- has raised fears of a new humanitarian tragedy. UN chief Antonio Guterres said on Wednesday he was "deeply concerned about the growing risks of a humanitarian catastrophe in the event of a full-scale military operation in Idlib." One of the fears is that the regime will resort to using chemical weapons, as it did during an offensive against rebels in the Eastern Ghouta enclave earlier this year. The UN's Syria peace envoy called Thursday for a humanitarian corridor. "I am once again prepared... personally and physically to get involved myself... to ensure such a temporary corridor would be feasible," Staffan de Mistura told reporters in Geneva. Another is the presence in the province of large numbers of fighters and civilians who have preferred to leave their homes rather than submit to Damascus rule. Idlib has been used as a relief valve for those evacuated from other rebel pockets like Eastern Ghouta following their negotiated surrender to the regime. But fighters who reject similar surrender deals for Idlib will have nowhere to go, heightening the chances of even deadlier battles if an all-out offensive is launched. "The rebels, as well as desperate civilians, have sheltered in Idlib, but now there is no other 'Idlib' into which they can flee," the Soufan Group think tank said.